Home » Insurance » Auto Insurance » Why Is My Car Insurance Quote So High? Getting a car insurance quote can save you hundreds of dollars per year. If you have not done some price checking with other insurance carriers in a while, take some time to get some basic quotes. Insurance rates are constantly fluctuating, and you are bound to find an insurer that offers the same insurance coverage you currently have for less money than what you are currently paying. 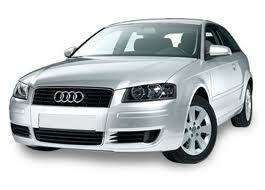 Unfortunately, sometimes you cannot change your expensive car insurance coverage for better coverage. Here are a few potential reasons your car insurance quote is too high. If you can eliminate some or all of these reasons you should be able to get a much lower car insurance quote. It should be easy to understand: if you drive a 4 cylinder economy car your car insurance rate will be lower than if you drive an extremely fast sports car. There is less temptation to put yourself into dangerous – and expensive – situations with the economy car. Your driving record dictates your insurance rate. If there is an error – perhaps something was supposed to fall off your record because you took a defensive driving course, but hasn’t – your rate could be inflated. Your car insurance deductible is the portion you pay out of pocket when you file a claim with your insurance company. It is essentially your self-insurance on your vehicle. By asking for a zero dollar deductible, you are telling the insurance carrier you don’t want any financial responsibility if you file a claim. To compensate for this the insurance carrier raises your rate significantly. Every insurance carrier provides options for you to select the amount of coverage you want for liability, collision, comprehensive, uninsured motorist, and property damage insurance. You probably don’t need the absolute maximum coverage for your vehicles. Having a bad credit score doesn’t just cost you higher interest rates on all types of financing, it can impact your car insurance quote as well. Individuals with poor credit are seen as potentially higher risks by carriers, and rates are slightly higher. Most car insurance policies cover theft inside the vehicle. If you live in a particularly risky area, or even just inside a large city, your rates will be higher than out in the country. The insurance carrier has to compensate for the increased risk of having a claim filed against the policy. Once you have dealt with the issues above, go back and get quotes again from various car insurance carriers. Be sure to change the insurance coverage levels and your deductibles to get the best quote. It is always recommended you get different quotes from the same company by changing pieces of the policy. You may find a $500 deductible is more affordable in the long run than a $1,000 deductible based on the amount of extra money that must be paid for the lower deductible.